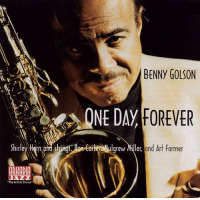 At age eighty-seven, saxophonist Benny Golson is one of the last surviving links to the Golden Age of modern jazz, ushered in by the likes of Charlie Parker, Dizzy Gillespie, Bud Powell, Kenny Clarke and others in the early '40s. 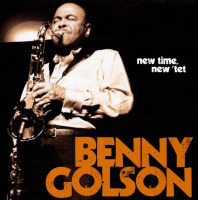 Golson came on the bop scene about a decade later and has been a force ever since, whether playing, composing, arranging, buttressing Art Blakey's Jazz Messengers or leading groups of various sizes. In 1956, Golson wrote "Whisper Not," the first of several of his works that may properly be labeled jazz standards. That list includes (but is not limited to) "I Remember Clifford," "Blues March," "Along Came Betty" and "Killer Joe." 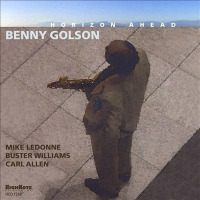 On tenor sax, Golson has his own voice, a husky, vibrato-laden dialect out of the Ben Webster / Coleman Hawkins school with an occasional nod to Lester Young and subtle permutations that set him apart from those and other forebears. If time has dulled Golson's razor-sharp mind or degraded his admirable technique, it's certainly not apparent on Horizon Ahead, on which Golson is in total command of a much-more-youthful rhythm section. To further press home the point, he composed four of the album's nine selections including the title song, (presumably) arranged the first eight tracks, and even wrote the elaborate liner notes. Aside from Golson's winning themes, the menu consists of Ellington's "Mood Indigo" and "Don't Get Around Much Anymore," the standards "Lulu's Back in Town" and "Three Little Words," and Carl Allen's solo drum piece, "Out of the Darkness, and Into the Light" (the last preceded by Golson's astute spoken introduction). There's a pleasing aura of self-assurance and self-control throughout, even when Golson and his mates are wailing, as on "Jump Start," "Domingo" or "Three Little Words." Pianist Mike LeDonne plays his role as accompanist / soloist with aplomb, as does bassist Buster Williams (who duets with Golson on a charming version of "Lulu's Back in Town"). Allen's timekeeping is up to its usual standards, so no more need be said about that. 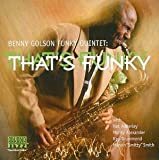 At an age that is far past retirement for most mortals, Benny Golson not only keeps working but showing a younger generation that when it comes to contemporary jazz, maturity and experience are dependable allies in the ongoing battle with Father Time. It is, of course, a battle that can never be won, but Golson proves on Horizon Ahead that when his time comes, he'll definitely go down swinging. Track Listing: Don’t Get Around Much Anymore; Jump Start; Horizon Ahead; Mood Indigo; Domingo; Lulu’s Back in Town; Night Shade; Three Little Words; Spoken Introduction; Out of the Darkness and Into the Light. 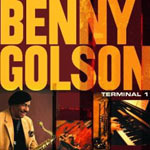 Personnel: Benny Golson: tenor saxophone; Mike LeDonne: piano; Buster Williams: bass; Carl Allen: drums.